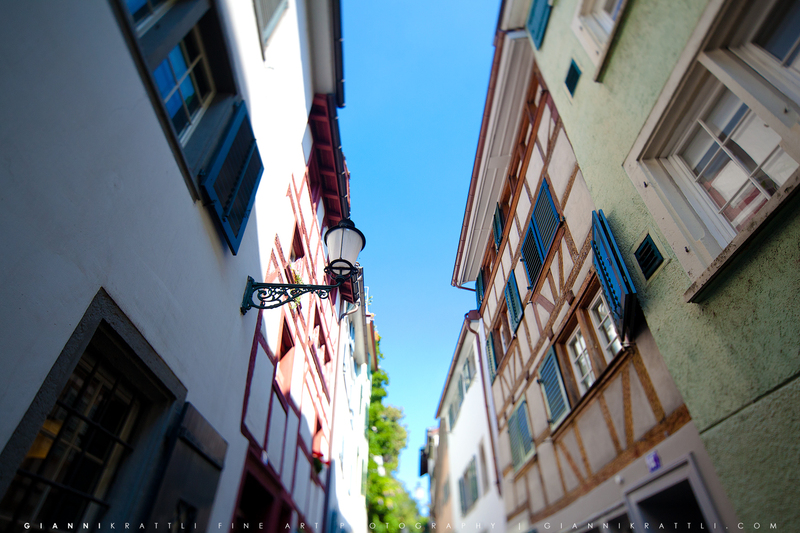 The elder Lady seemed like she was in a familiar environment. Probably she already was checking the time on the tower of the church St.Peter when she was a little girl. The old town of Zurich in the morning is a magical place. The towers of the church Grossmünster enframe the rising Moon. The church St.Peter in the old town of Zurich in the best morning light. 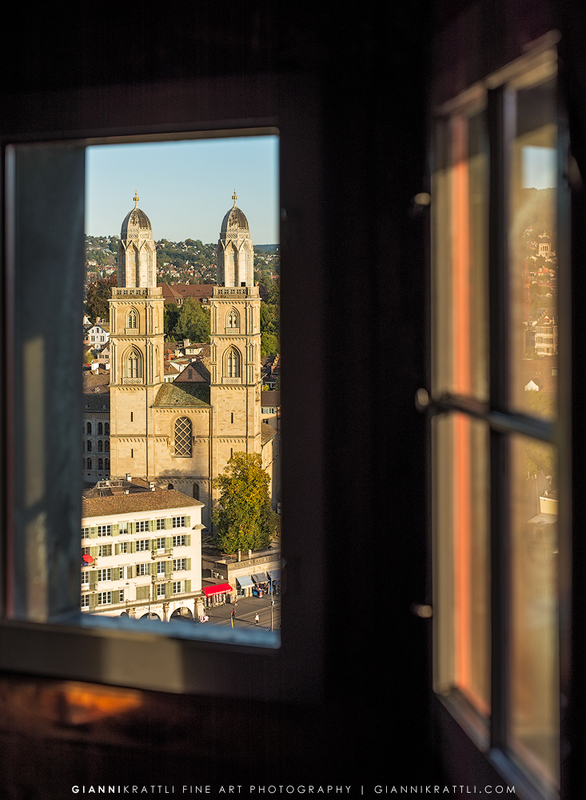 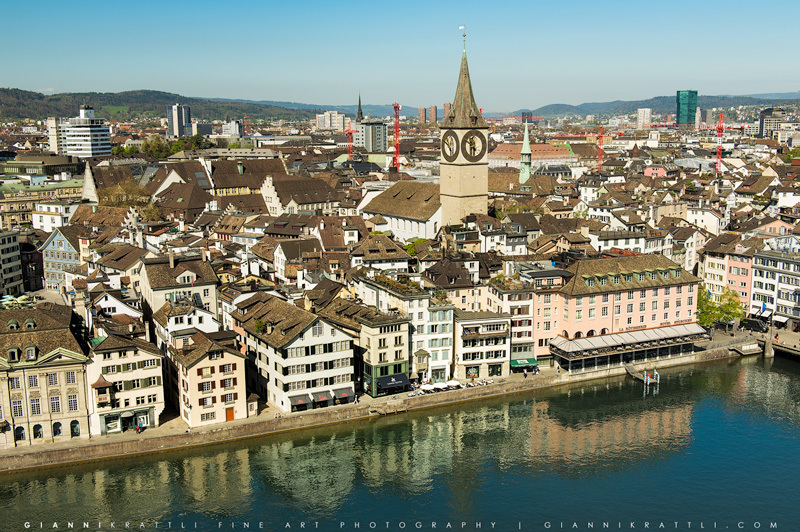 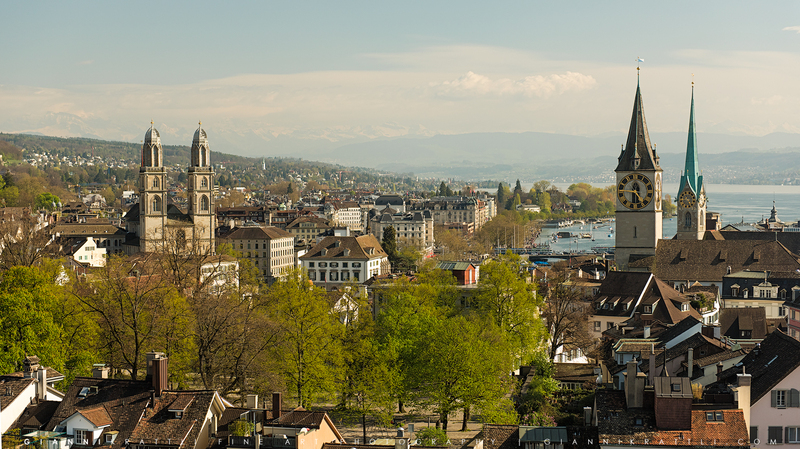 There’s no better place to enjoy the view of the church Grossmünster than from the tower of the church St.Peter. 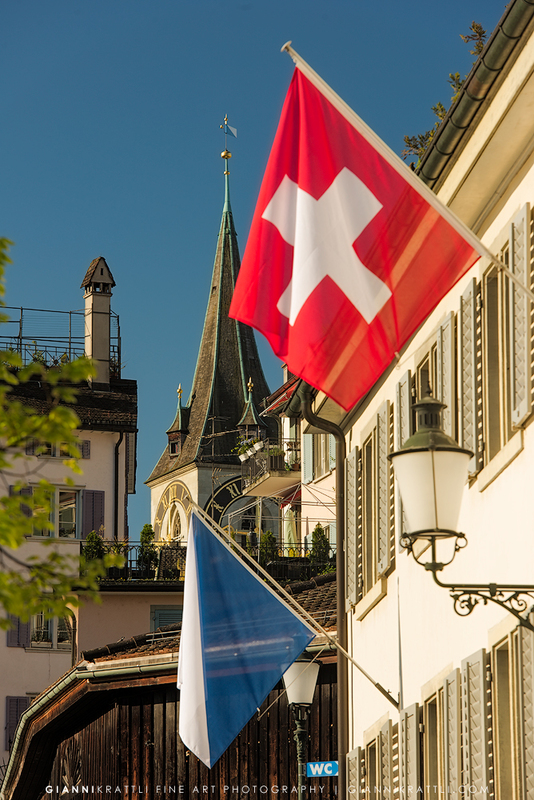 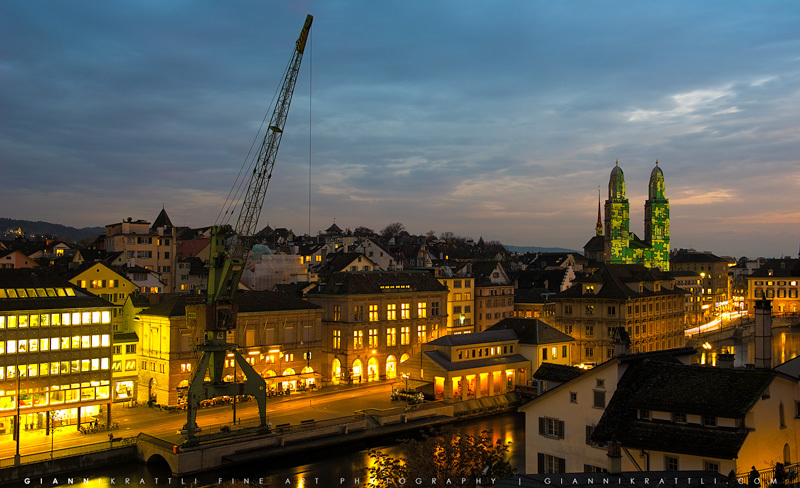 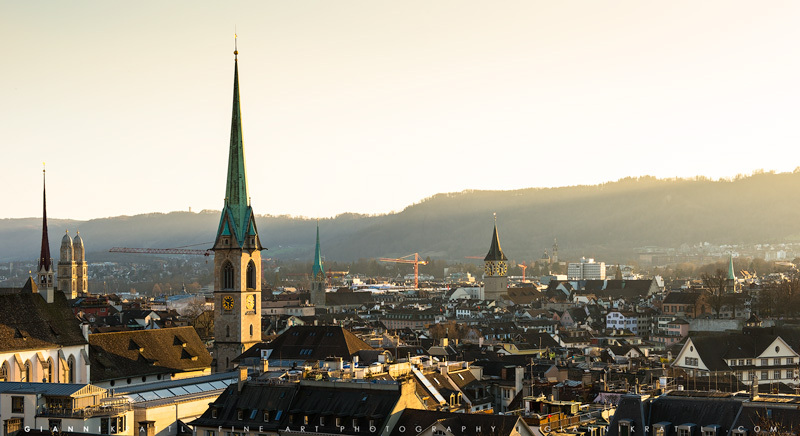 In this picture you can see the landmark of Zurich in a wonderful evening light. 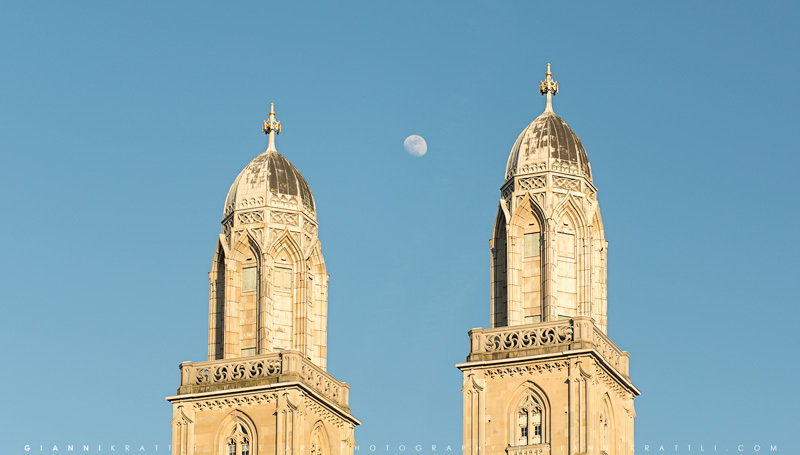 When the sun is rising above Zurich the sky becomes golden and the windows of the church Grossmünster illuminate. 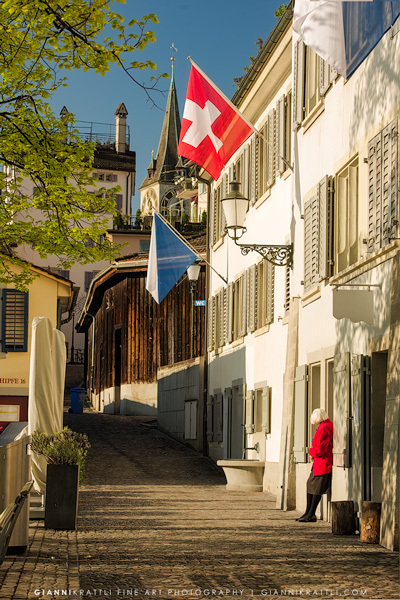 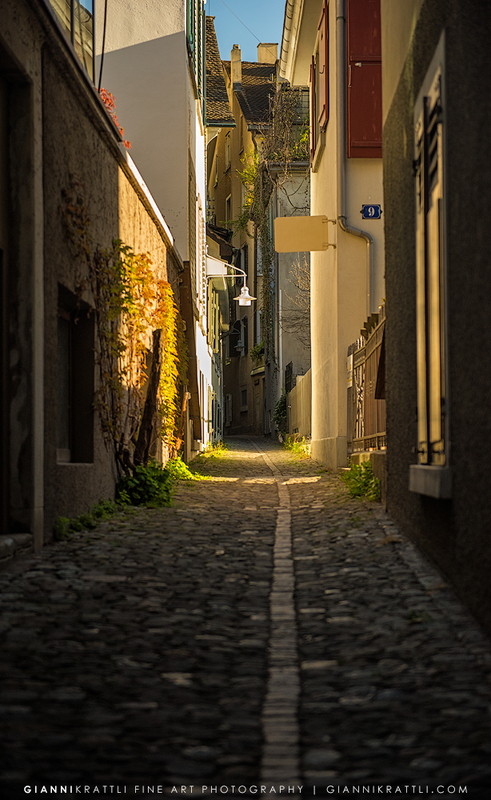 In the old town of Zurich there are countless alleys to discover. 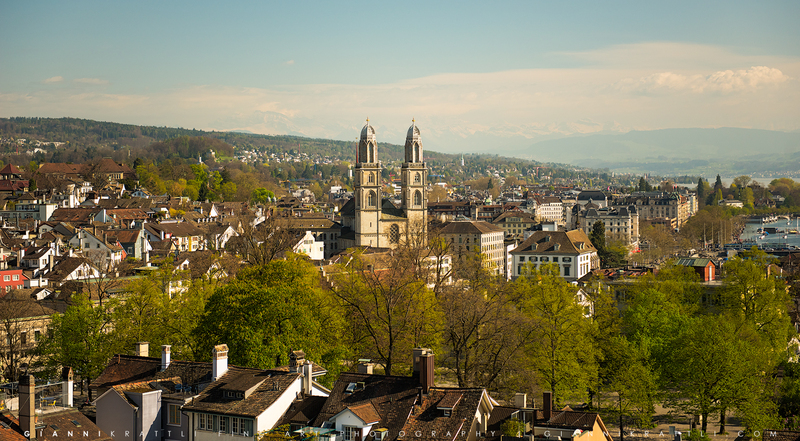 The church Grossmünster shines in the nicest colors in the evening light. 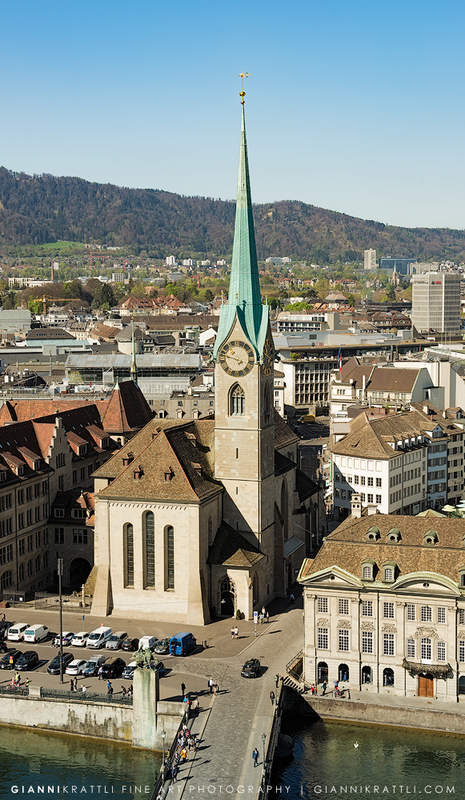 The churches Grossmünster, St.Peter and Fraumünster are marked as highlight in every travel guide. The church Grossmünster is the landmark of Zurich and its towers watching over the old town. 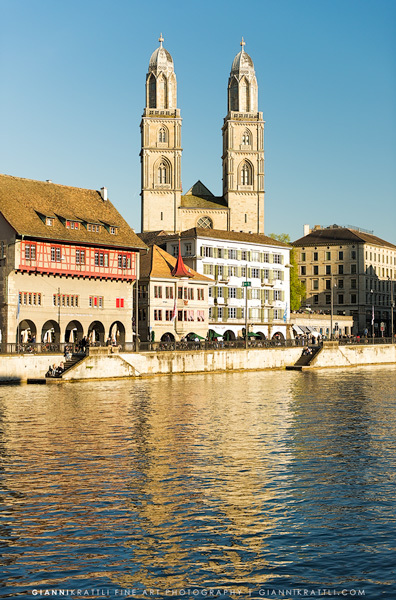 The tower of the church St.Peter is reflecting in the river Limmat for a long time already, whereas the Prime Tower in the background was built not a long time ago. The church Fraumünster in the morning light.